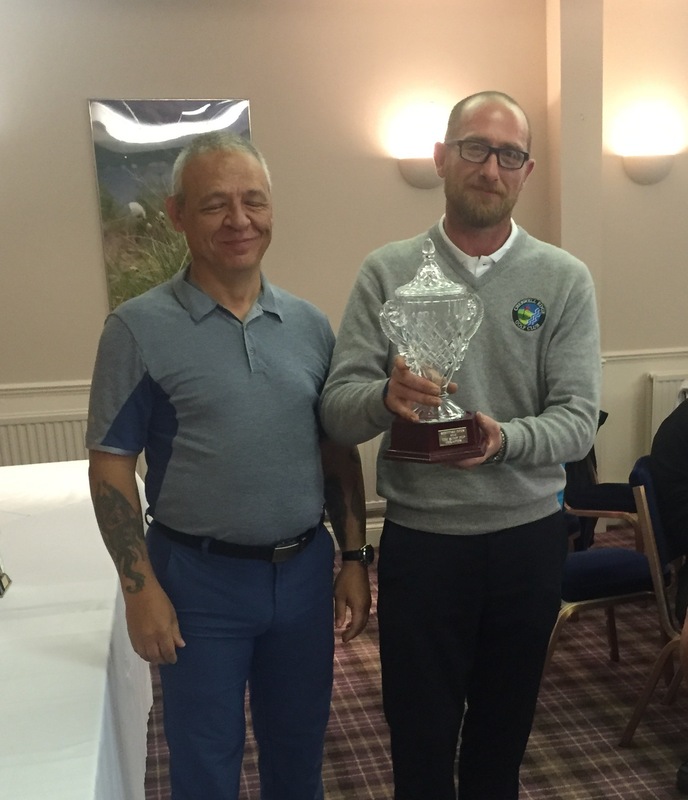 The European Disabled Golf Association (EDGA) is set to launch its international ‘Tournament Series 2017’, staged for competitive golfers with disabilities. Nine tournaments have been confirmed so far in Spain, the Czech Republic, Sweden, Scotland, Austria, Portugal and France. 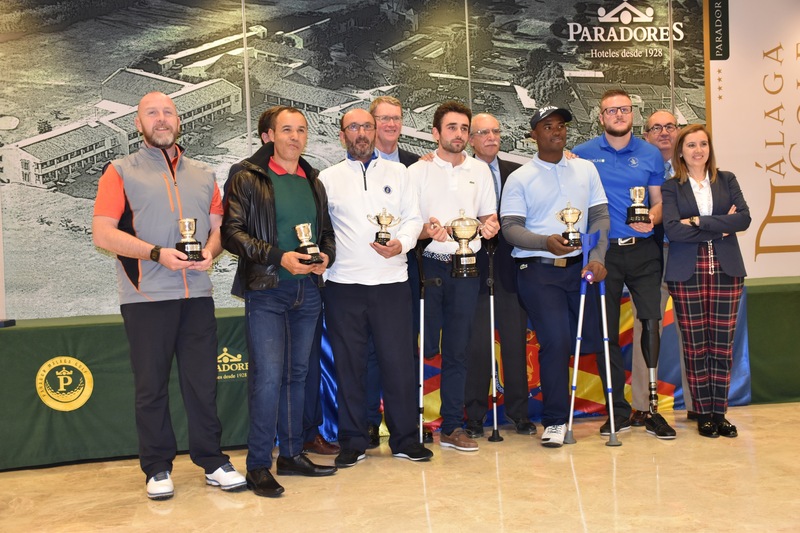 Last year the first event was held in April but for 2017 EDGA players tee-off the comprehensive season this weekend with the Spanish Open, held at the Parador de Málaga Golf Resort (February 11-12), organised by Real Federación Española Golf. 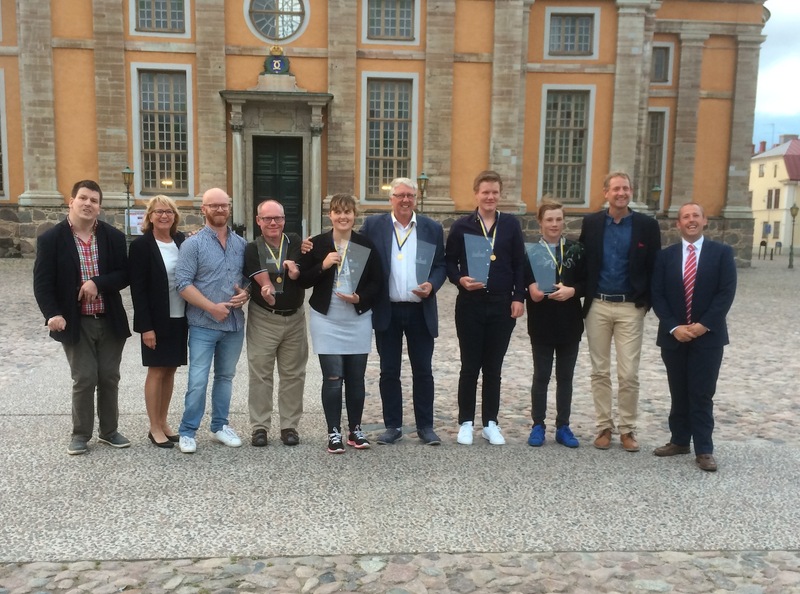 With discussions taking place to stage further tournaments in Italy, Finland, Switzerland and Germany, it is hoped that this year’s tournament roster will mirror or exceed the 13 of 2016 as the Series grows (in 2013 there were four tournaments staged), attracting more players from a greater number of countries. Highlights include the European Team Championship 2017 at Quinta do Lago, Portugal Algarve, in June, which is organised by the European Golf Association (EGA), and, being staged at Fairmont St. Andrews in August, the Scottish Open held at the Home of Golf looks set to be a magnet for players from 20 countries as they seek to improve their places on the Ranking for Golfers with Disability supported by PING. All nine tournaments so far finalised should offer a fantastic sporting occasion for the players taking part. EDGA President Tony Bennett said: “Every tournament in the schedule is fortunate to have a really good venue for the players and great national support for our golfers who wish to compete at constantly higher levels. Supported by The R&A, the European Tour, and European Tour players (notably EDGA Ambassador Lee Westwood), EDGA is looking for Corporate Partners and event sponsors to reflect and facilitate its growth internationally. Key to its objectives, EDGA has been and continues to work on political alignment in order to influence the Paralympic movement so that elite golfers with a disability are able to take their golf to the very highest international level. EDGA sits on the International Golf Federation (IGF) Golfers with Disability Committee. 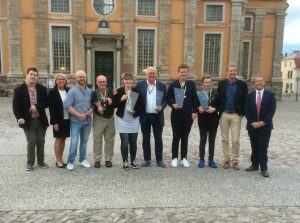 Globally respected golf club manufacturer PING became the key supporter behind the Ranking in 2016, while the Algarve Tourist Association became EDGA’s first Corporate Partner in 2015 and this relationship has thrived. Event sponsors recently have included internationally acclaimed golf apparel brand Glenmuir. 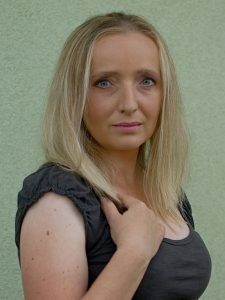 The European Disabled Golf Association (EDGA) is delighted to welcome formally Jana Brabnikova as its new Executive Assistant. Jana, an experienced administrator, will support the Executive Committee at an exciting time of growth for the organisation. 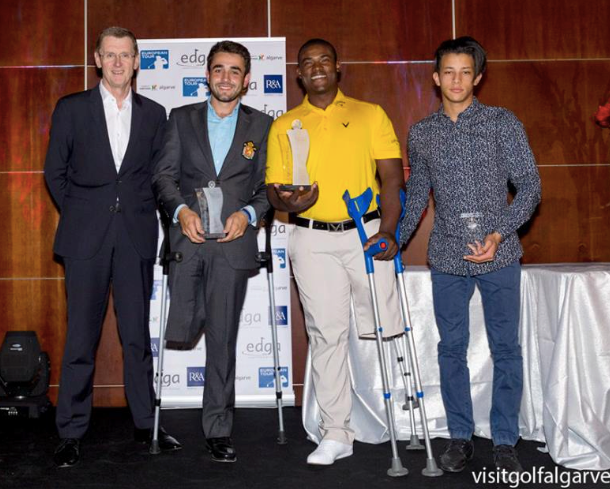 EDGA assists golfers with disability to compete internationally and sees them as ‘Golfers First’. EDGA is supported by the European Tour, The R&A and 20 National Golf Federations, plus several valued partners. 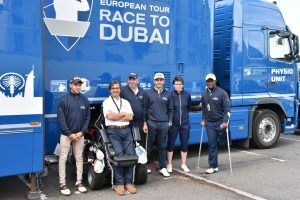 Supported by globally respected health and disability experts, the organisation is currently in discussions with the International Golf Federation (IGF) as it seeks to influence the Paralympic bodies so that elite golfers with a disability are able to take their golf to the very highest international level. Jana Brabnikova joins the EDGA team in a year in which it has successfully expanded the ‘EDGA Tournament Series’ in Europe for competitive players from different categories (12 tournaments this year as opposed to four in 2013) and has created the international ‘Ranking for Golfers with Disability supported by PING’ to help raise competitive standards, encourage the growth of events and promote international networking between players. 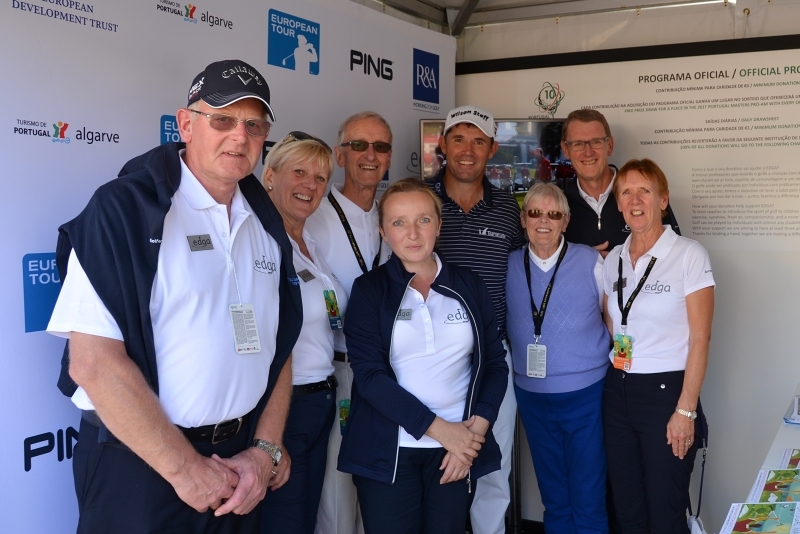 Jana recently assisted EDGA in its role as Official Charity of the Portugal Masters, won by Padraig Harrington. 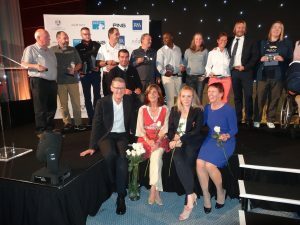 She also played a key role in organising EDGA’s major event this year in the shape of the EDGA General Assembly, which took place in early December at Pestana Vila Sol Golf Resort, alongside the III EDGA Algarve Open 2016, the last tournament of the season which enjoyed a record number of entries. EDGA is fortunate that former General Secretary, Manon Cupillard-Eggermont, will remain with the organisation. Manon has performed an excellent job for EDGA over several years and will now focus her attentions on the EDGA Sport Committee as the Tournament Series grows. 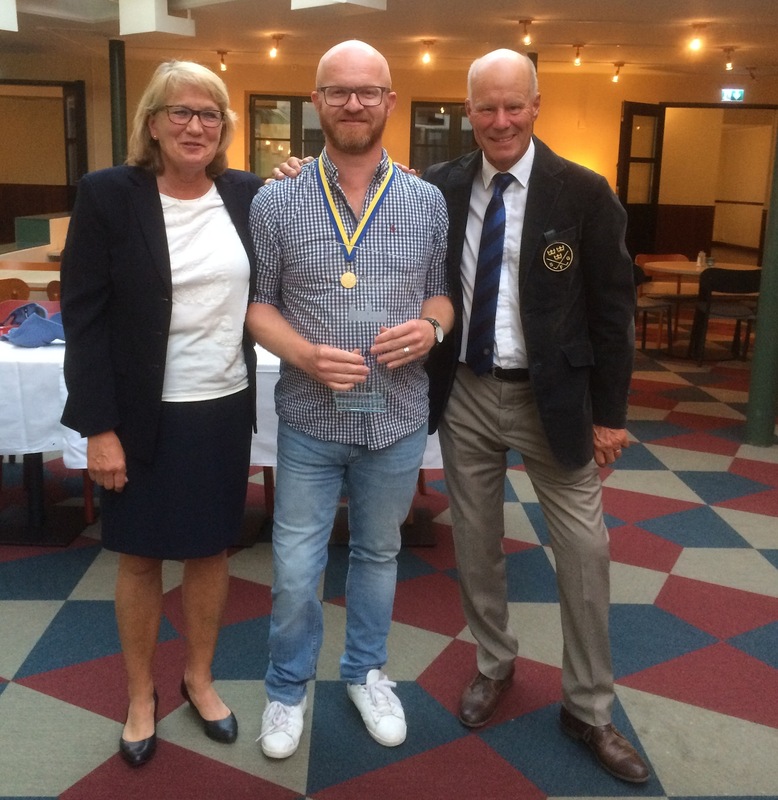 The European Disabled Golf Association (EDGA) has enjoyed arguably its most successful and progressive year yet in improving opportunities to golfers with disability. 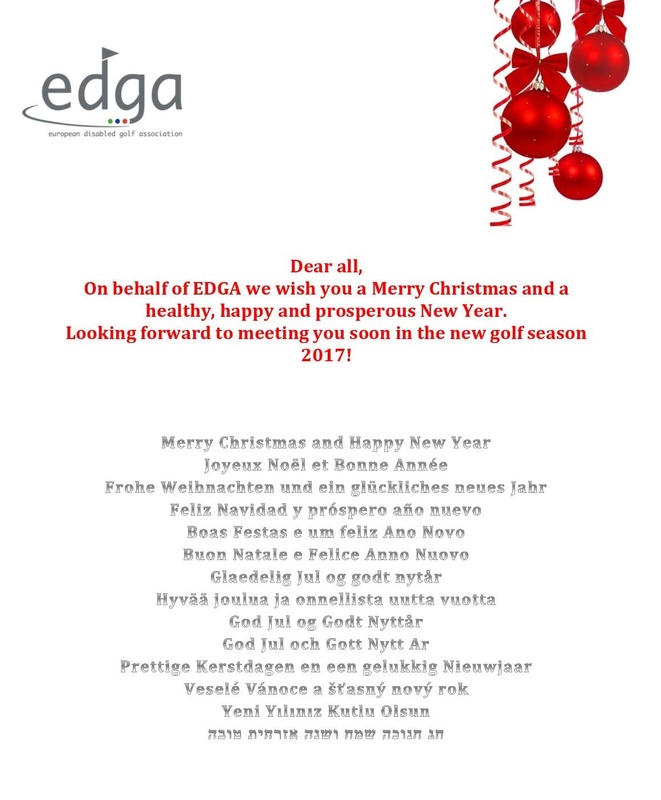 According to the EDGA Executive Committee at the recent 2016 Annual Assembly this is due to the “spirit and goodwill of its players, members and volunteers and the growing support of leading golfing bodies and international companies”. Staged at the excellent venue of Pestana Vila Sol Golf Resort, on the Algarve at the start of December, delegates attending the largest ever Assembly paid special thanks to those organisations, including 18 national golf federations, The R&A, the European Tour, the Algarve Tourism Association and a lengthening list of commercial companies, who are all paving the way for progress. A key message is that this is an exciting time to get involved with a body which is extending its collaboration with the game’s world leaders, including The R&A and the International Golf Federation (IGF). Progress in aligning golf for the disabled with the tenets of the Paralympic movement while staying true to golf’s core beliefs is being made, as EDGA members strive to have golf become a Paralympic sport by 2024. With the Assembly held alongside the final tournament of the year – the III EDGA Algarve Open 2016 – the EDGA Executive Committee heralded all EDGA players who have competed in any of the 12 Tournament Series events as the flag bearers who are proving that ‘Golfers First’ can enjoy, compete and win at ever-higher levels (there were just four such events in 2013). Along with fellow guests the IGF, the European Golf Association was present to offer valuable insights into how EDGA’s ideals can be supported across the Continent, while two national federations, Golf Australia and the Costa Rica Golf Federation, were warmly welcomed into the EDGA family as Affiliate Members. Increased numbers of players took part in the EDGA Tournament Series 2016 while there is continued development of the ‘Ranking for Golfers with Disability (R4GD) supported by PING’, thanks to financial backing and advice from this world-famous manufacturing company. Some 267 players from 24 countries are now registered in the Ranking. 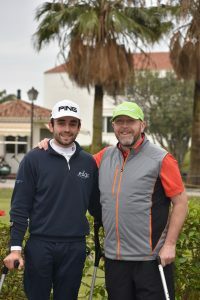 During the workshop sessions, PGA Inclusive Golf Tutors Craig Thomas and Mark Taylor delivered a two-day inclusive golf training workshop to 22 Professionals from the PGA of Portugal. The coaches received training, advice and good practice in all facets of inclusive golf coaching to help other golfers in their areas. The experience at Vila Sol also aimed to provide a definite legacy to encourage new golfers in Portugal – a project supported by the European Tour as EDGA was given Official Charity status at the European Tour’s recent Portugal Masters. At this event, six EDGA players were guests of the European Tour and gave demonstrations on the driving range and putting green together with a group of Portuguese juniors. With TV commentary from Ken Brown this activity created strong profile for EDGA, a real highlight of a great year. 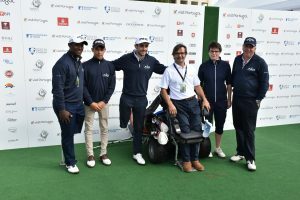 The European Disabled Golf Association (EDGA) raised €22,500 as the European Tour’s Official Charity of the 2016 Portugal Masters, which finished on Sunday (23rd October). As the eventual champion Padraig Harrington battled it out with Andy Sullivan and other top players, EDGA enjoyed a unique profile throughout the week at Vilamoura courtesy of the European Tour. 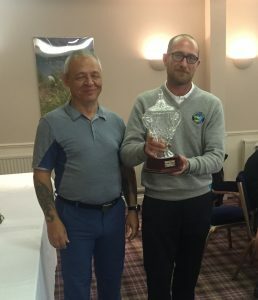 The EDGA team and volunteers were able to raise funds during the tournament which will be spent on a groundbreaking project to introduce children with disability to golf. The project is also supported by the Portuguese Tourism Board, and will effectively start during the EDGA Algarve Open in December at Vila Sol (December 1-3). Here, a group of coaches will be trained to deliver golf to children with disability, enabling them to work across Portugal, visiting rehabilitation centres and disability groups to share the fun of golf with youngsters and their families. EDGA is in an excellent position to support the expansion of initiatives which promote the development and delivery of golf for individuals with impairment across Europe, working with 18 national golf federations. While its own Tournament Series has grown from four events in 2013 to 12 in 2016 with a truly international feel, EDGA members wish to support all golfers with disability at the grass roots of the game and encourage new players of all ages. The EDGA President said: “We would like to offer a huge thank you to the European Tour for selecting EDGA as Official Charity for the 2016 Portugal Masters. This opportunity enabled some wonderful volunteers to support us, and a challenge by the Million Dollar Hole-in-One during the Pro-Am helped raise €22,500, which can all be spent directly on introducing youngsters with disability to golf in Portugal. EDGA has been supported in 2016 by The Ryder Cup European Development Trust, The R&A, the European Tour, PING (PING staff player Lee Westwood is also an EDGA Ambassador), Glenmuir and The Algarve Tourism Association. EDGA will report further on the progress of the pilot project to help youngsters with disability during the EDGA Algarve Open in December.